Here are the top stories from the world of technology for the day. Hello everyone and evening this Thursday. The week is almost over and it is time to rejoice that you have almost survived yet another week. This also leaves just one day before the weekend starts with that Friday night. Talking about the Friday night, a lot of interesting things happened in the world of technology. Let’s recap the top stories from the technology world. The highlight of the day has to be that major Xiaomi launch event that happened in Shenzen where Xiaomi launched a number of devices including the Xiaomi Mi 8, Xiaomi Mi 8 Special Edition, Xiaomi Mi 8 Explorer Edition, Xiaomi Mi Band 3, Mi TV 4 75-inches, MIUI 10, and Mi VR Standalone. Renders of what looks like the Google Pixel 3 leaked out on the internet giving us a hint about what to expect. Baba Ramdev’s Patanjali launched Kimbho messaging app which disappeared from the Play Store after a number of security issues were discovered with the app. Samsung also revealed a number of offers in partnership with Reliance Jio for its Samsung Galaxy J2 smartphone. Let’s dive into these topics for a closer look. Xiaomi launched its flagship smartphone, the Xiaomi Mi 8 at its 8th-anniversary event in Shenzhen. The Mi 8 features a wider notch to house the infrared facial recognition sensors including an infrared lens, infrared lighting, proximity sensor, earpiece and 20-megapixel front camera. It also comes with metal and glass design with 6.21-inch AMOLED display, and a noticeable chin at the bottom. The display has a resolution of 2248×1080 pixels with 18.7:9 aspect ratio while supporting the always-on display. In terms of performance, the Mi 8 is powered by Qualcomm Snapdragon 845 chipset coupled with up to 8GB of RAM, and 256GB internal storage. It brings major improvements to the camera department. 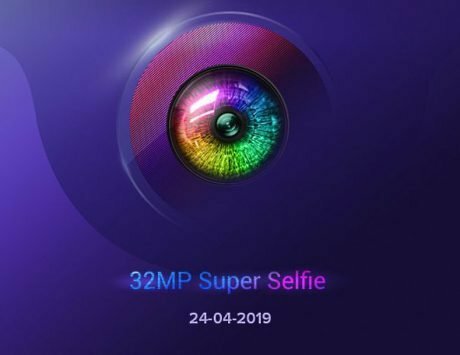 The Xiaomi Mi 8 features dual 12-megapixel rear camera setup with larger 1.4-micron pixels and 4-axis optical image stabilization. It also comes with a 20-megapixel selfie shooter with f/2.0 aperture and 1.8-micron pixel size. The Mi 8 SE is a smaller 5.88-inch Full HD+ AMOLED notched display variant of Mi 8 along with Snapdragon 710 SoC. This makes the Xiaomi Mi 8 SE to be the first smartphone with Qualcomm’s Snapdragon 700 series SoC. 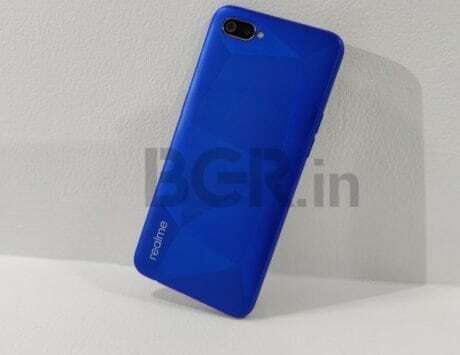 It comes in blue, red, gold and black colors with dual rear cameras with 12-megapixel and 5-megapixel sensors and a 20-megapixel selfie shooter. The Mi 8 Explorer Edition comes with a clear back, Face recognition technology and a notch. The company also launched the MIUI 10, an update that is termed as one of the major design changes to Xiaomi’s UI in recent times. The MIUI 10 is bringing major changes to the visual appearance of the user interface and is designed with full-screen experience in mind. One of the key changes coming with MIUI 10 is the way it handles recent applications. Xiaomi says MIUI 10 has nearly zero loading times for applications, and the interface has been optimized by studying app usage and anticipating user actions with the help of Artificial Intelligence. Xiaomi Mi Band 3 features a 0.78-inch OLED display, which comes with rounded edges and a depressed button area right below the display. The band comes with a heart-rate sensor, fitness and activity tracking that includes step counting, sleep monitoring and more. The band is also water resistant up to 50m, and additionally features NFC for quick connectivity. Among the list of devices that the company launched included the latest flagship TV, Mi TV 4. It features a 75-inch 4K display and comes with an ultra-thin design. The TV also supports smart features and comes with its own AI voice assistant. Last but not the least, Xiaomi Mi VR Standalone is a stand-alone VR headset that Xiaomi made in collaboration with Oculus and Facebook. It packs a Snapdragon 821 along with 2K fast switch screen. As part of its Next Billion Users initiative, Google has launched a new hyperlocal service called ‘Neighbourly’. This brings together its awareness of local languages, coupled with natural language processing to power Neighbourly. Neighborly relies on the trust we place in people from our neighborhood. It manages to do that even in a fast-paced city lifestyle where residents and citizens are relatively insulated from face to face conversations. It uses a Q&A format to answer real-life questions. Google is working on a new Pixel lineup with the edge-to-edge display to take on next-generation iPhone. Google will stick with its two-device strategy, and launch Pixel 3 and Pixel 3 XL as the successors to last year’s Pixel 2 and Pixel 2 XL. The larger Pixel 3 XL will come with a nearly edge-to-edge display design and the Pixel 3 XL will have a thicker bezel at the bottom. People familiar with Google’s plans told the publication that the search giant is speaking with Foxconn for building it’s 2018 Pixel phones. The company is planning to offer an upgraded single lens camera module on the back. It does indicate that Pixel 3 and Pixel 3 XL might not be able to offer optical zoom support this year. At the front, Google is planning to add dual cameras placed inside of the notch. Patanjali launched “Kimbho”, a messaging app for Android and iOS that bears similar features to WhatsApp. The app is available free of cost on both the Google Play Store and Apple’s App Store. Kimbho supports both private and group chats and features voice and video calling as well. French security researcher operating under the alias Elliot Alderson took to his Twitter account to issue a warning regarding the Kimbho app stating that the Android app is a “disaster” in terms of security. He went on to elaborate that he could “access messages of all the users” pointing to a gaping security flaw in the app. Alderson went on to point out that the app was a copy of an existing app by the name of Bolo Messenger. The backlash prompted Patanjali to take the app off from the Google Play Store. Samsung has teamed up with Reliance Jio to offer a number of offers for its Samsung Galaxy J2. Samsung Galaxy J2 (2018) is an entry-level smartphone priced at Rs 8,190. It features a 5-inch Super AMOLED display with 960×540 pixels resolution. It is powered by an octa-core processor clocked at 1.4GHz along with 2GB of RAM and 16GB internal storage. 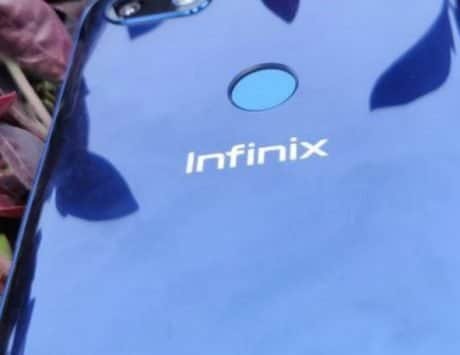 It comes with an 8-megapixel main camera and a 5-megapixel selfie camera. It runs Android Nougat and is backed by a 2,600mAh battery. Reliance Jio subscribers can avail cashback and additional data benefits. The owners of Galaxy J2 (2018) will get instant cashback benefits of Rs 2,750, and it will be offered in the form of 55 cashback vouchers worth Rs 50 each. The smartphone also comes with data benefits up to 100GB 4G data. The data benefit will be offered in the form of 10GB data over 10 months. The offer is valid until September 30, 2018, and is applicable on Rs 198 or Rs 299 tariff plans.